Given that domestic violence, sexual assault and gender equity continue to be prevalent issues throughout the U.S. and across the globe, Grand Valley State University gave several speakers the opportunity to address these issues Monday, Oct. 23, as part of a panel on violence against women. Whether they're buying books, clothing or kitchen utensils online, almost everyone is familiar with the online shopping superpower Amazon.com. As of right now, there is only one Amazon headquarters, which is located in Seattle. However, that is scheduled to change as the online shopping giant is currently in the process of evaluating different locations for a second home, and Grand Rapids is a potential contender. Richard Schlatter was the winner of ArtPrize Nine's public vote, taking home a $200,000 prize for his portrait of Abraham Lincoln made entirely out of pennies. 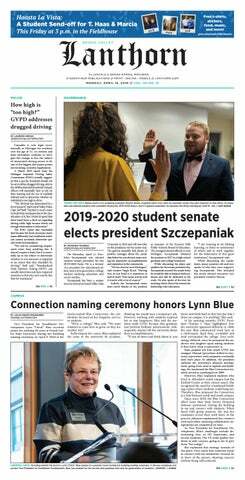 Amber Dieleman, a non-traditional student at Grand Valley State University, is running for a seat on the Walker City Commission in Kent County in the Tuesday, Nov. 7, election. The Multipurpose Room in the Mary Idema Pew Library Learning and Information Commons at Grand Valley State University will be host to the Laker Effect Challenge Thursday, Nov. 30. However, before participants can get to that final stage, they will need to fulfill certain requirements in order to complete the challenge itself.